From left are Cleveland Porter, Jr., Randolph President Bradley W. Bateman, Robert Morgan Kash, and Thomas Upshur (seated). 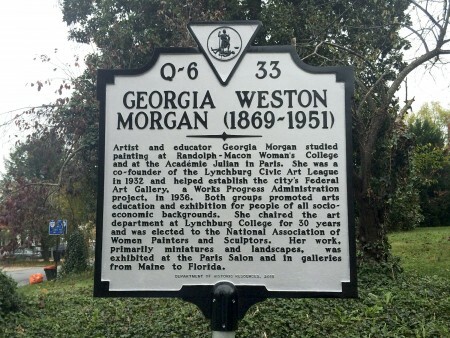 The Randolph College and Lynchburg communities celebrated the life and achievements of Georgia Weston Morgan, a famed Lynchburg artist and member of the Class of 1903 who studied painting, in a dedication ceremony for a historic marker erected in her memory Sunday. Morgan also studied at the Academie Julian in Paris, France. She chaired the art department at Lynchburg College for 30 years and was elected the National Association of Women Painters and Sculptors. Her work, which included primarily miniatures and landscapes, was exhibited at Paris Salon and in galleries spanning the East Coast of the United States. 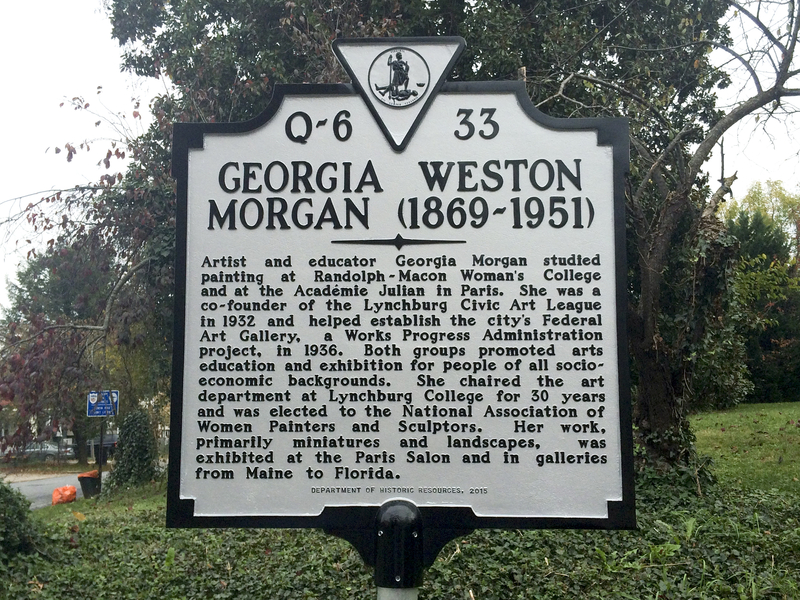 In the Lynchburg community, Morgan was co-founder of the Lynchburg Civic Art League in 1932 and helped establish the city’s Federal Art Gallery, a Works Progress Administration project, in 1936. Both groups worked to promote art education and exhibition for people of all races and socioeconomic and family backgrounds. 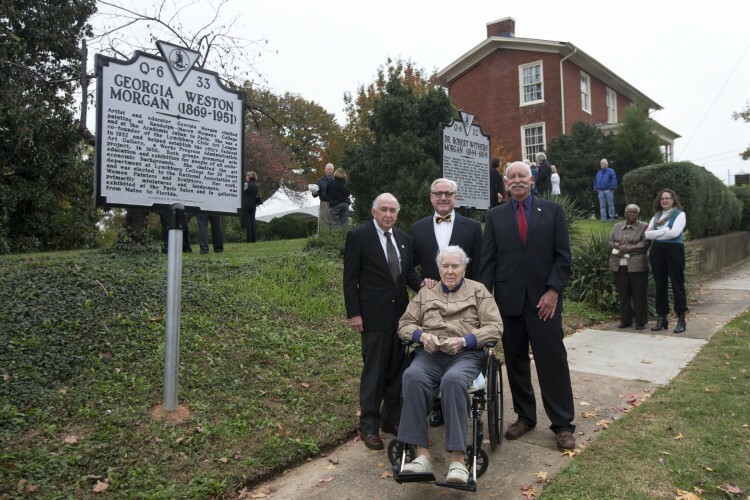 Bateman, along with Lynchburg Art Club member Geral Butler, unveiled the special marker sponsored by the College at the conclusion of Sunday’s ceremony. Another marker in memory of Morgan’s relative, Robert Withers Morgan, was also unveiled in front of the historic Morgan home, which is now the law office of Hal Devening. Mike Pulice, architectural historian at the Virginia Department of Historic Resources, said the process of getting historic markers like these is “strong and rigorous.” Applicants must submit historical documents to prove their candidate’s statewide or nationwide significance. There are only about two-dozen of these historic markers in Lynchburg and about 2,500 in Virginia.